Prices of private residential properties in Singapore rose by 0.4% in the second quarter of this year, rebounding from a 0.1% fall in the first quarter. Real estate statistics released on Friday by the Urban Redevelopment Authority (URA) showed prices of non-landed private homes in the core central region increased by 0.6%, while those in the rest of the central region climbed 0.4% in the April to June quarter. 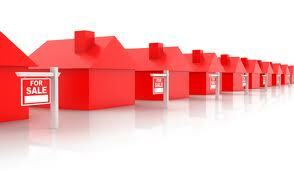 These compared with a 0.6% drop in prices for both regions in the January to March quarter. For outside central region, prices rose at a slower pace of 0.5% in the second quarter, compared to a 1.1% increase in the first quarter. Rentals of private homes were up 0.3% in the second quarter, similar to the rate of increase in the last quarter. URA said the volume of resale transactions jumped from 2,206 units in the first quarter to 3,487 units in the second quarter. Resale transactions accounted for 37% of all sales in the second quarter, compared to 24% in the first quarter. The number of uncompleted private home units from projects in the pipeline climbed from 78,572 units in the first quarter to 83,251 units as at the end of the second quarter. URA said the pipeline supply of 83,251 units was the highest ever recorded since such data were first made available in 1999. Of the supply in the pipeline, 38,175 units remained unsold at the second quarter. 12,124 units (32%) were located in the core central region, while 8,618 units (22%) were in the city fringes. The balance of 17,433 units (46%) were located outside of central region. No Comment to " Q2 home prices rose 0.4% "